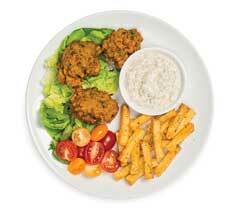 Make it a perfectly balanced plate: Serve with 1/4 cup tzatziki and 1/2 cup fries. In a large bowl, combine mix with hot water and lemon juice. Let stand 5 min. 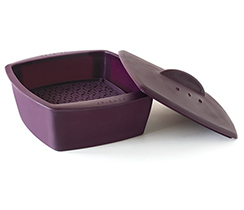 Meanwhile, chop and measure cauliflower and broccoli; place in Multipurpose Steamer. Cover and microwave on high for 2 min. 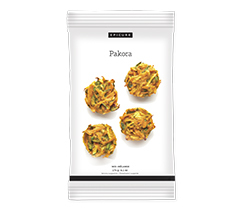 Fold steamed veggies into pakora batter along with frozen peas and lentils. Preheat Fry Pan over medium heat; add half the oil. 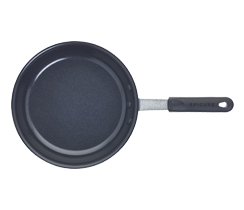 Using half the batter, drop by tablespoon into the pan; flatten slightly. Cook until golden on both sides, about 5–7 min. Repeat with remaining oil and batter. 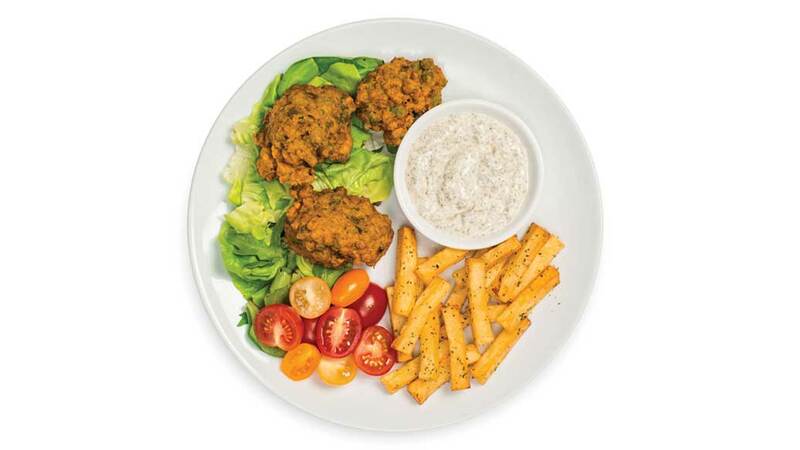 Tip: Serve with tartar sauce by combining 1/4 cup plain vegan yogurt with 1/2 cup mayo, 2 tbsp green relish, 2 tsp Lemon Dilly Dip Mix and 1-2 tsp lemon juice.